We know how many robots and spam bots browse the internet searching unprotected forms. Therefore, if you have opened form for unregistered users you need to protect it with captcha to avoid spam attacks. 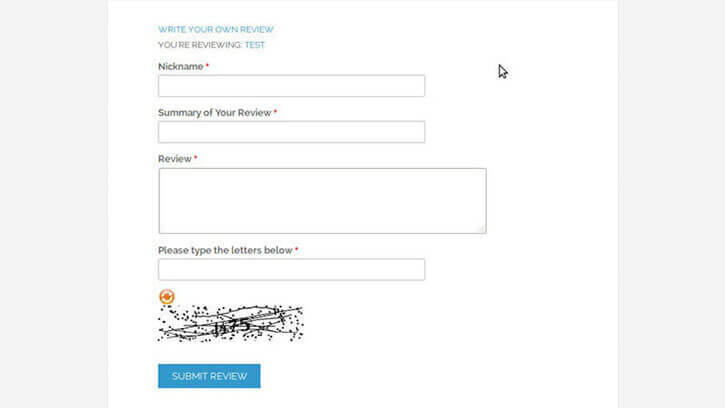 Here Magento allows you to include captcha only on certain necessary forms; by default .This blog will create a module to use Magento Native Image Captcha in product review form easily. Register the below events for rendering the display of Captcha. Please make sure you are using the form's id correct. Call the captcha on phtml file app/design/frontend/base/default/template/review/form.phtml at the right place and file your theme suggests.